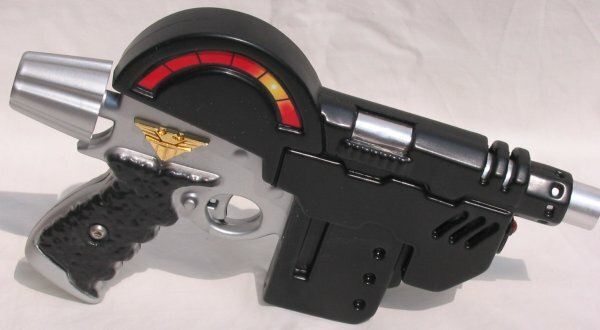 This Lawgiver Mark II is based on Jason Brashill and Jim Murray's original design and Cliff Robinson's published covers. 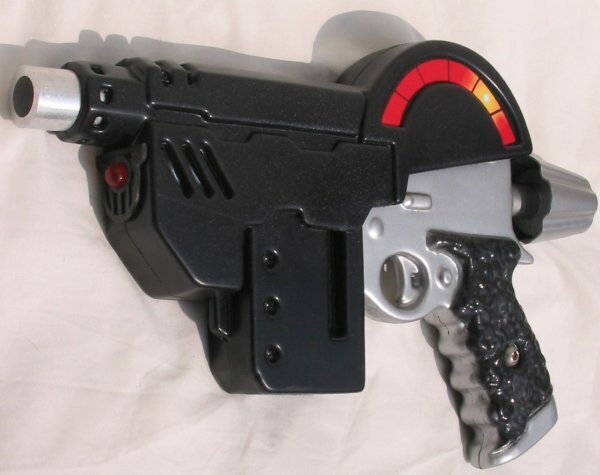 It has been vacuformed in tough HIP plastic, weighs around 500 g and features a metal barrel and gold-plated eagle badge. 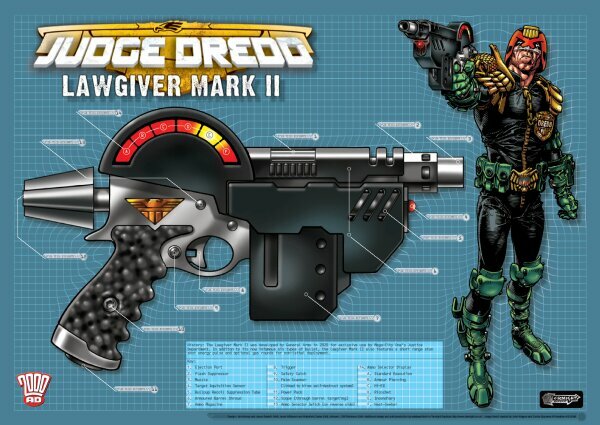 This A3 print on 350gsm card featuring exclusive new artwork by Cliff Robinson is included as a free gift to all lawgiver buyers. This print is also available to buy separately for £9.95 signed or £4.95 unsigned. The bottom 2 photos shows the scuffed finish. 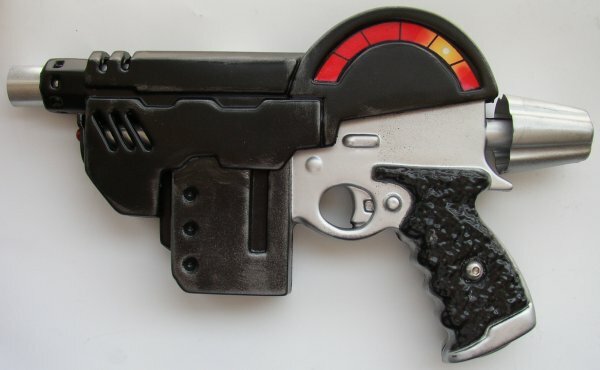 This item has	been discontinued, but prints are still available. 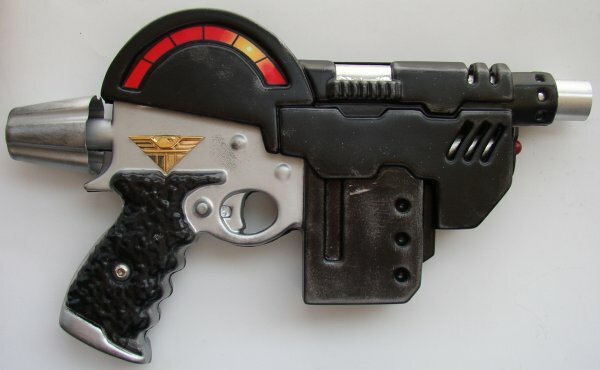 Jason Willbourn, maker of this Lawgiver, decided to make a one-off transparent "cutaway" version for himself. 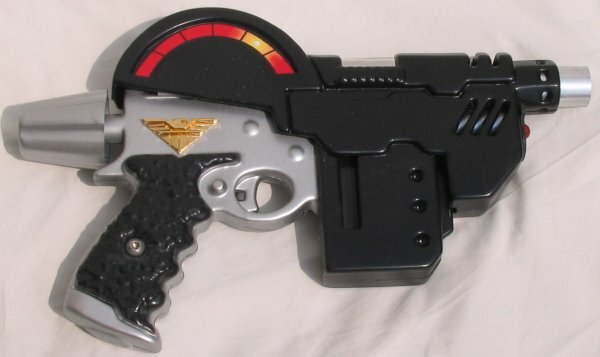 The gun contains six types of round, all with different shapes, and Jason tried to make the weapon look like it would really work.